What’s special about Premax Sports Grip? Cyclists, you can forget your gloves, our Sports Grip will provide the grip confidence you need with the added benefit of a better feel of what’s happening under your front wheel. Divers, you can hold your legs without slipping, and pole dancing and gymnastics athletes your hands won’t slip no matter how sweaty your hands get. Sometimes you need grip, and sometimes you need slip. 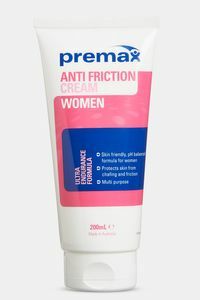 If you also experience chafing, please check out our Anti Friction Balm, Anti Friction Cream, or Women's Anti Friction Cream. 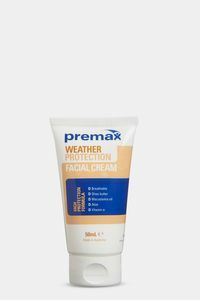 For outdoor athletes, our super dry and sweat resistant Sports Sunscreen SPF 50+ will keep you protected from the sun’s damaging rays, and our Weather Protection Facial Cream will keep your skin protected when it’s cold and windy. 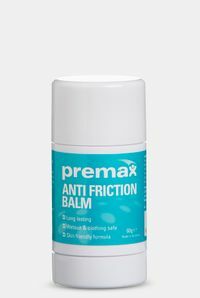 How should you use Premax Sports Grip? Premax Sports Grip is long lasting. You don’t need much - just enough to cover 1 or 2 finger tips should last for 30-60 minutes, depending on your sport and the weather conditions. Apply to the whole hand surface, or an isolated area of your preference. Some people prefer to apply the Premax Sports Grip to sporting equipment, which is fine with us. Test product for any skin irritation on a small area of the skin prior to use. Apply a small amount 2-3 minutes before starting your activity. Reapply every as needed. 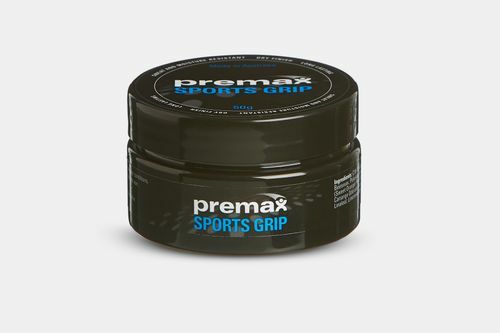 Premax Sports Grip - not greasy and lasted way longer than anything else. Any edge you can get in football, especially with ball handling is an advantage on those wet muddy days in winter for VFL, and in humid conditions in the AFLW playing in the north of Australia during summer. Premax Sports Grip gives you that edge. The Premax Sports Grip has been awesome in reducing the fatigue in my hands and arms. By letting the sports grip do most of the “gripping”, it allows me to relax and focus on more important things! Premax sports grip isn’t just for stick and ball sports!